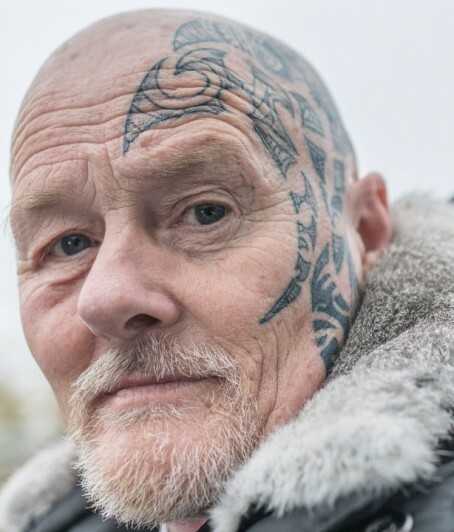 A racist who said he had “no worries” about ending Muslims’ lives has been convicted thanks to a regional journalist. Jeff Reines – head of content at Cornwall Live and its sister newspapers the West Briton, Cornish Guardian and Cornishman – gave evidence in the case of Eric King, who pleaded guilty to sending indecent or grossly offensive posts on Facebook. In September, Jeff had received a tip-off about anti-Islamic Facebook posts made by King, who has a previous conviction for posting images depicting the prophet Mohammed smeared in dog faeces to an Islamic community centre. Having been told the posts had been reported to police, Jeff then contacted the Devon and Cornwall Police press office for a comment. Although the press office initially told him they knew nothing about it, Jeff was later contacted by the force asking for screenshots of King’s posts, which he duly supplied. As a result, 63-year-old King was arrested and “released under investigation pending further enquiries”. In a piece about his involvement in the investigation for Cornwall Live, Jeff wrote: “By now the story was starting to feel a bit different. Something was not feeling quite right, in a bemusing sort of way, and, as I had started to suspect – and even joked with a police press officer about – it would seem I had now become the person who reported the alleged crime. I was soon contacted by the detective investigating the alleged offence. “I was asked if I’d give a statement. As a journalist, I remain scrupulously impartial and never get directly involved in the storied we research, write and publish. To be fair, there’s not usually much call for me to do so. But as a publication, we don’t shout about our own thoughts on the issues we report about. “It’s for our readers to decide how they feel, or to have their opinions and experiences published through us. We let the process of justice run its course and report it. Common law states in instances when a case goes to court that justice is meant to be seen to be done in public, via open courts and the press/media. King was charged in February with two charges of sending “via Facebook an article, namely a post, which was, in whole or part, of an indecent or grossly offensive nature for the purpose of causing distress or anxiety to the recipient or to any other person to whom you intended that it or its contents or nature should be communicated” under the Malicious Communications Act 1988. His Facebook messages included “Islam needs to be wiped off the face of the earth, if that means killing all Muslims, so be it” and that “he had no worries about ending the life of any Muslim”. He pleaded guilty on 31 May and as given two four-month jail sentenced, to run concurrently and suspended for a year. Jeff added: “I subsequently received an unexpected letter from the Criminal Justice System (my first ever correspondence from a whole ‘system’, I must admit) informing me of the outcome and thanking me for making a statement. My original source has told me he received the same – so I can’t take all the credit. Well done Jeff. He enhances the image of journos for getting wrongs tackled.